JJ72 were a rock band from Dublin, Republic of Ireland. The band was formed in 1999 by lead singer Mark Greaney and drummer Fergal Matthews. The two recruited the third and final member Hilary Woods as bassist and formed the trio, playing gigs in Ireland while still studying for their Leaving Cert exams. In June 2006 JJ72 announced they will split after seven years and two acclaimed albums. The band released their first album, JJ72 in Autumn, 2000, following the completion of their Leaving Cert. The band released their first album, JJ72 in Autumn, 2000, following the completion of their Leaving Cert. Released to great acclaim by music journalists and the music buying public alike, the album has sold in excess of 500,000 copies in their native Ireland and the United Kingdom. The album spawned the singles; Snow, October Swimmer, Long Way South, Oxygen and Algeria, and saw the band tour Europe, the US and Japan. The band followed the release of the first album with the release of their second album, I To Sky in October 2002. This release was panned by critics; however, it did reach the top 5 of the Irish album charts and the top 20 of the British charts, which led to the singles; Formulae (22) and Always And Forever (42) being released from that album. In March 2003 bassist Hilary Woods left the band citing 'to pursue other interests' as the cause. Greaney and Matthews recruited another bassist, Canadian-born Sarah Fox, and the band continued as a three piece. 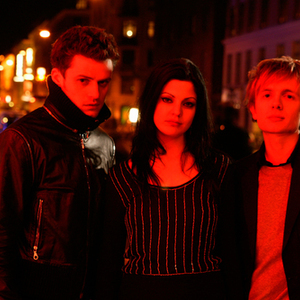 After a two year silence, the band embarked on their first tour with Sarah Fox in May 2005 and released the download and 7" only single She's Gone. A second new single, Coming Home followed quietly in August 2005, peaking at number 52 in the UK charts. A second, small venue tour followed in September 2005, with Mark Greany sounding his frustrations regarding the release of the third album. The band completed work on a new album (rumored to be titled 'On' or 'Heaven City Falls'), however this album was never released due to a dispute with Lakota and Columbia Records/Sony. Songs that were tipped to be on the album include: 'Take From Me', 'Rainfalls', 'Underground', 'Maria', 'Everything', 'Radio' and 'Some Day'. In June 2006 JJ72 announced they will split after seven years and two acclaimed albums. The lead singer Mark Greaney is reportedly working on a new project, for which details are yet to be revealed. A statement on the band's website (now defunct) stated: "We remember everything, from mechanical birds in Japan to angels in arid Arizona, from broken bones and Berlin birthdays to predatory Portsmouth spiders. For those who disliked and perhaps despised (gasp) JJ72, thank you - how did beautiful photographs exist without a negative?! We crafted two monuments of magnificence for the future aural pleasure and pain of all would be JJ believers and doubters....and for those who care not for the passing of the petulant yet powerful pup....shame on you! Thank you to Hilary Woods for being a dazzling damsel and thank you to all who played music in/with the band. You know who you are. " The band had started an online diary at www.jj72.blogspot.com which is no longer updated.